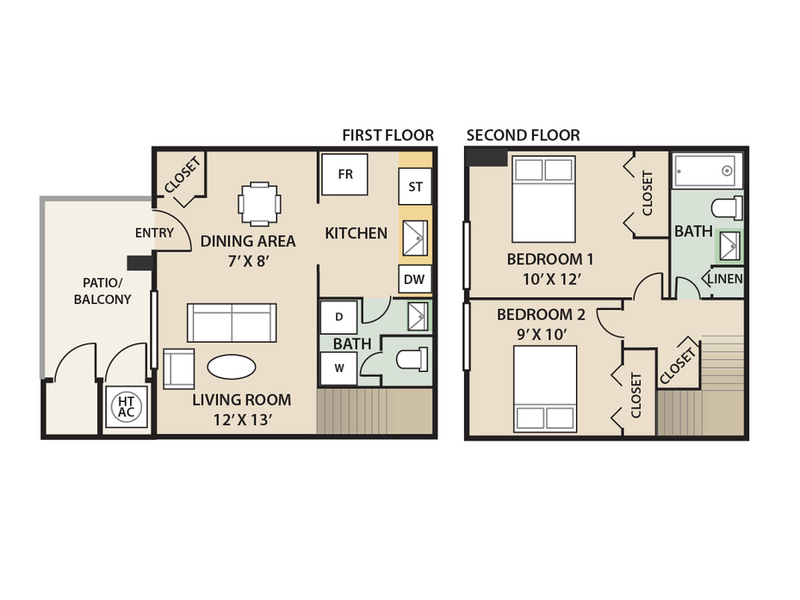 Which floor plan at The Seasons works best for you? 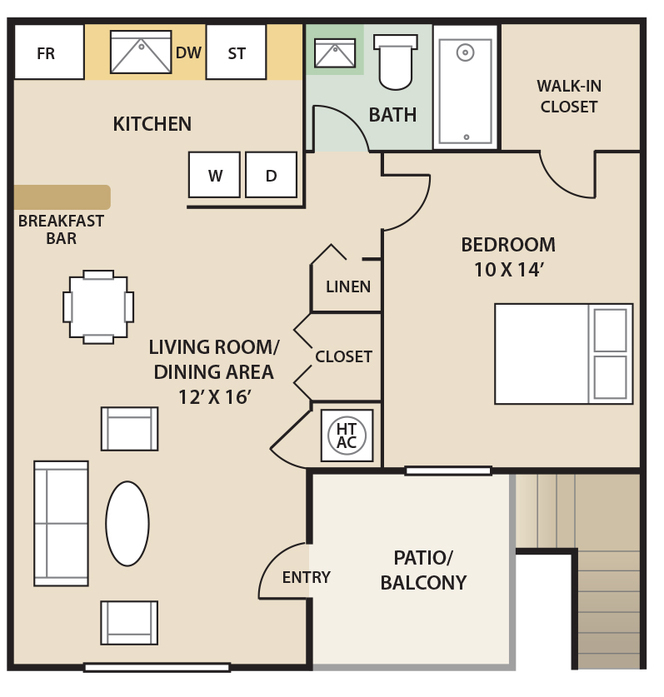 Browse available options below at our apartments for rent in Laurel, Maryland. Space saver W/D, breakfast bar, dining room, outside storage. 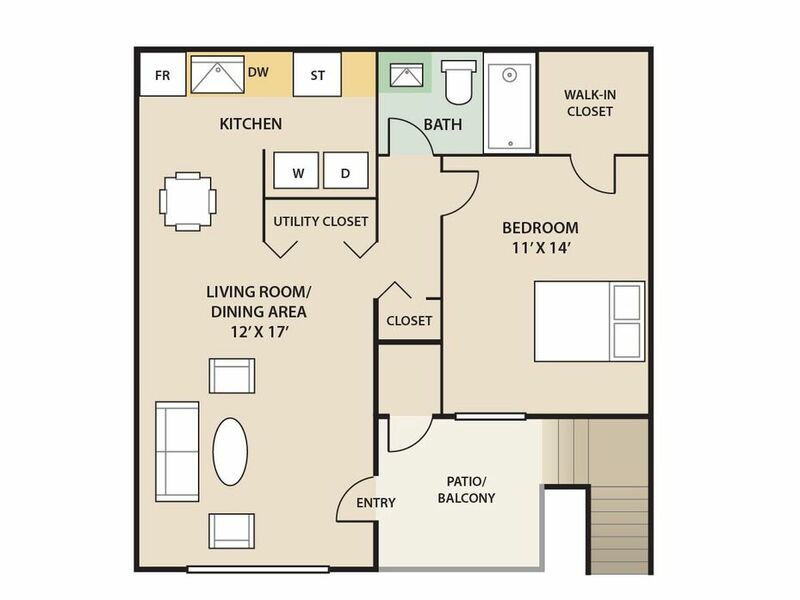 This one bedroom home is designed for any lifestyle. The expansive floor plan offers a large living space, separate dining area and easy access to the recently renovated kitchen with beautiful new cabinetry and breakfast bar. The home has a washer and dryer, a bathroom conveniently located next to the master bedroom, and gorgeous views of our professionally landscaped grounds. The Blue Spruce's lovely patios and balconies offer outside storage and enable you to enjoy the luxury of outdoor living. 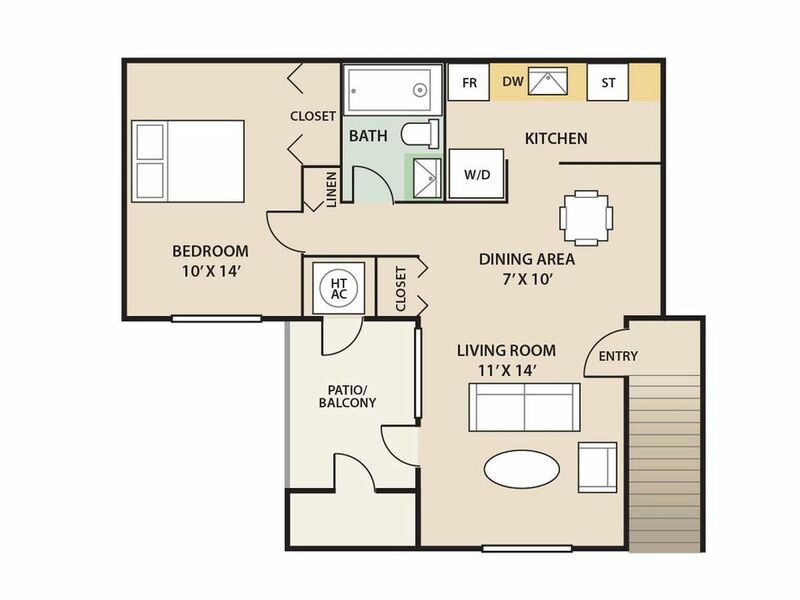 This one bedroom home is designed to accommodate any lifestyle. The expansive floor plan offers a large living space, separate dining area, and easy access to a recently renovated kitchen with beautiful new cabinetry and breakfast bar. The home has a full size washer and dryer, a bathroom conveniently located next to the master bedroom, a walk in closet, and wonderful views of the professionally landscaped grounds. The Buttercup's lovely patios and balconies enable you to enjoy the luxury of outdoor living. 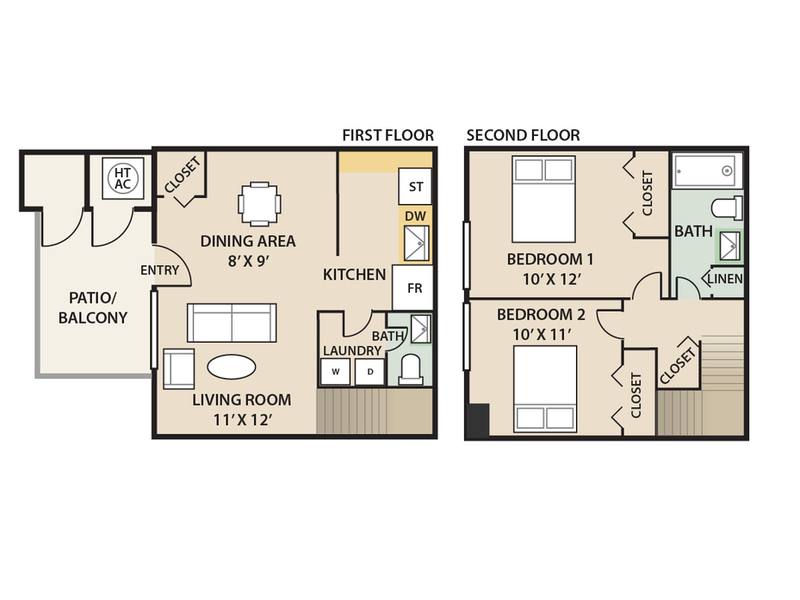 This two bedroom home is designed to accommodate any lifestyle. The open floor plan offers a large living space with a separate dining area and easy access to a recently renovated kitchen with beautiful new cabinetry. The home has a full size washer and dryer and a full bath. The two bedrooms are expansive and have wonderful views of our professionally landscaped grounds. Our lovely patios and balconies have outside storage and enable you to enjoy the luxury of outdoor living. This town home is designed to accommodate any lifestyle. The open floor plan offers a large living space with a separate dining area and easy access to a recently renovated kitchen with beautiful new cabinetry. This home has a full size washer and dryer and a half bath on the first floor which offers privacy when entertaining. The full bath and expansive bedrooms are located on the second floor and have wonderful views of our professionally landscaped grounds. Our lovely patios enable you to enjoy the luxury of outdoor living. This town home is designed to accommodate any lifestyle. The open floor plan offers a large living area and easy access to a recently renovated kitchen with beautiful new cabinetry. This home has a full size washer and dryer and a half bath on the first floor which offers privacy while entertaining. The full bath and expansive bedrooms are located on the second floor and offer wonderful views of our beautifully manicured grounds. 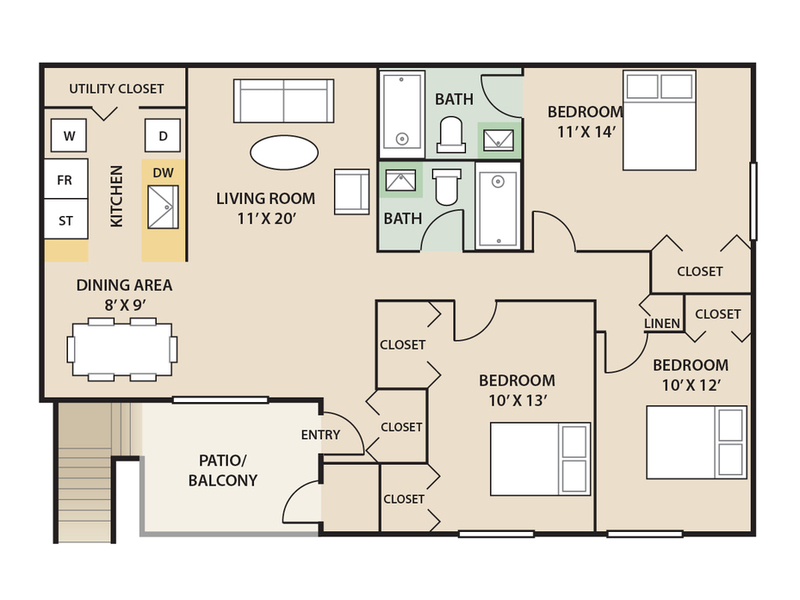 The Aspen's lovely patios and balconies offer storage and the luxury of outdoor living. 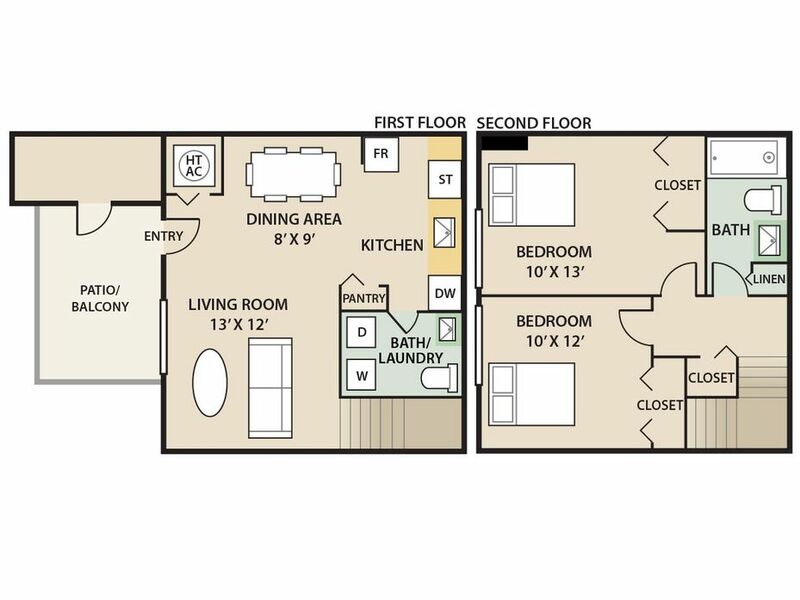 This two bedroom town home is designed to accommodate any lifestyle. The open floor plan offers a large living space with a separate dining area and easy access to a recently renovated kitchen with beautiful new cabinetry. This home has a full size washer and dryer and the half bath on the first floor which allows for privacy when entertaining. The full bath and expansive bedrooms are located on the second floor and offer wonderful views of our professionally landscaped grounds. Our lovely patios provide outside storage and enable you to enjoy the luxury of outdoor living. This three bedroom town home is designed to accommodate any lifestyle. The open floor plan offers a large living space with a separate dining area and easy access to a recently renovated kitchen with beautiful new cabinetry. This home has a full size washer and dryer and the half bath on the first floor which offers privacy when entertaining. The full bath and expansive bedrooms are located on the second floor and offer wonderful views of our professionally landscaped grounds. Our lovely patios enable you to enjoy the luxury of outdoor living. This three bedroom home is designed to accommodate any lifestyle. The open floor plan offers a large living space with separate dining area and easy access to a recently renovated kitchen with beautiful new cabinetry. The home has a full size washer and dryer and two full baths. 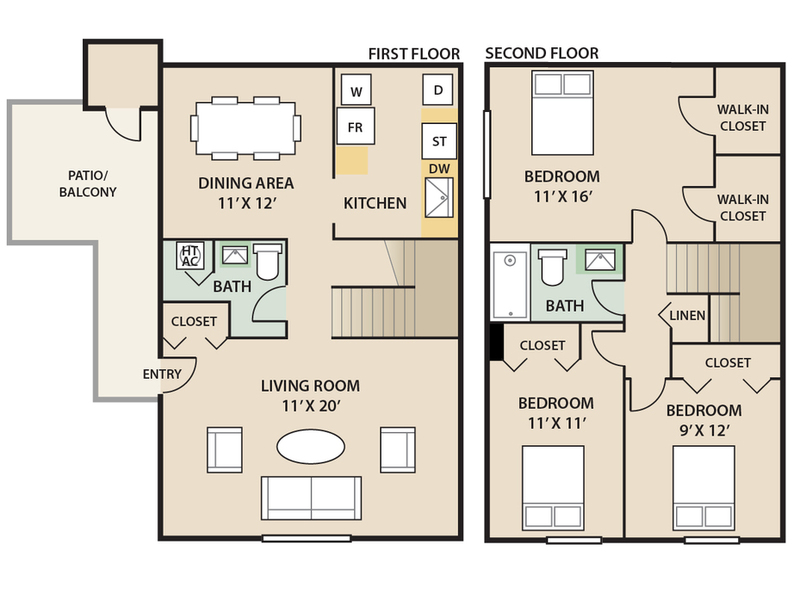 There are three expansive bedrooms with a full bath off the master bedroom. All rooms have wonderful views of our professionally landscaped grounds. Our lovely patios and balconies enable you to enjoy the luxury of outdoor living. This three bedroom home is designed to accommodate any lifestyle. The open floor plan offers a large living space with a separate dining area and easy access to a recently renovated kitchen with beautiful new cabinetry. 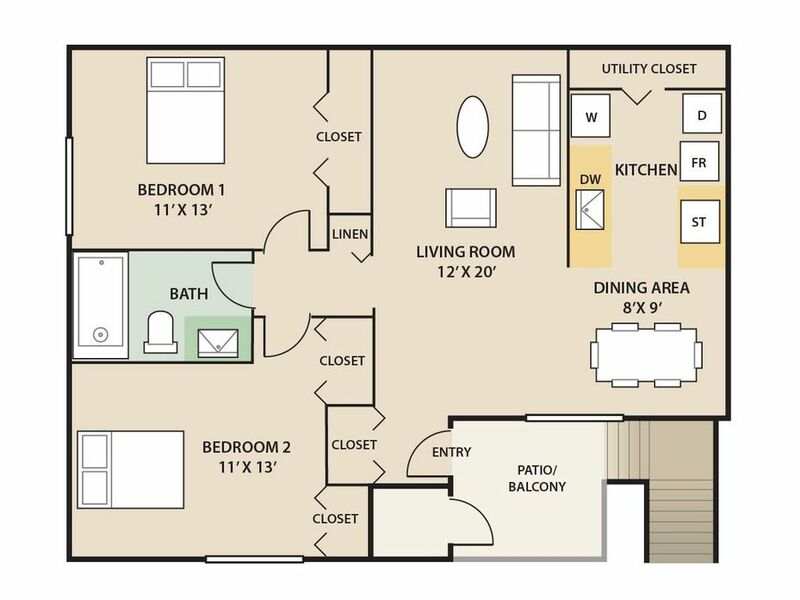 This home has a full size washer and dryer and two full bathrooms. 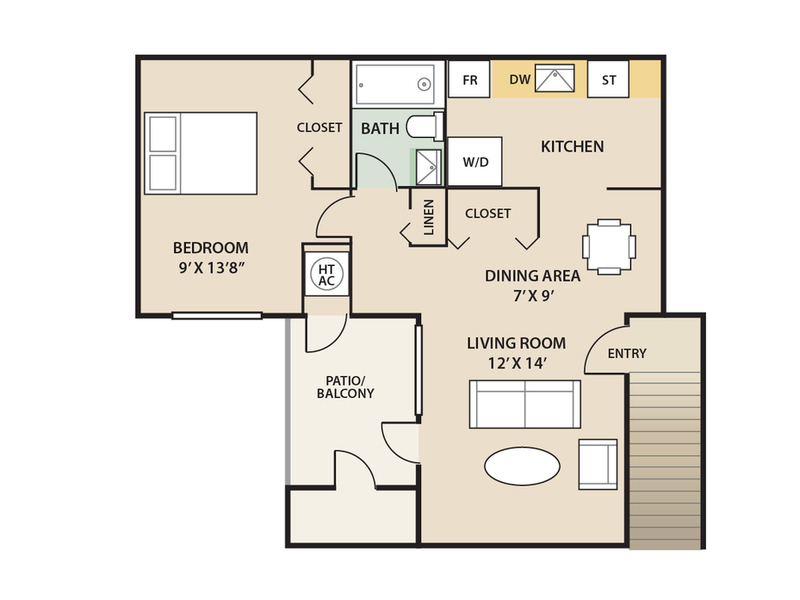 The Fern has three expansive bedrooms with a full bath off the master bedroom. Our lovely patios and balconies enable you to enjoy the luxury of outdoor living.